ITAHARI, June 26: On Saturday afternoon, people could see three different views near the crossroads of Duhabi Rural Municipality of Itahari. Cadres of Bijay Kumar Gachhadar-led Nepal Loktantrik Forum (NLF) were trying to woo the voters using loud speakers. Meanwhile, cadres of Nepali Congress (NC) were also actively involved in poll activities just few minutes away from that place. Two hundred meters away from them, regional chairperson of poll-opposing RJPN, Mohammad Sagir, was found drinking tea outside the gate of the municipality office. Since his party refused to take part in elections before the amendment of the constitution, he has been spending his days at tea stalls. 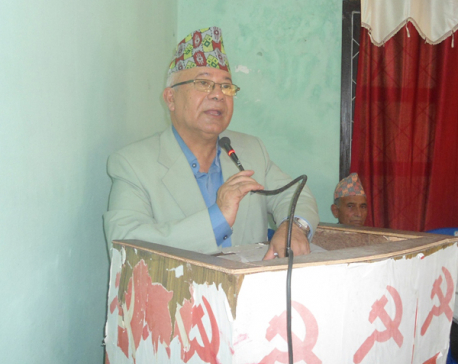 RJPN has strictly instructed its cadres and leaders not to take part in the elections. But, according to Sagir, it is not possible to stop the voters from exercising their voting rights. “Cadres have been asking me whether to cast votes or not. I have told them to listen to their heart rather than the orders of the party,” he said. Sagir says he and many other people have been deprived of taking part in the elections as the government didn't amend the constitution and provided them with election symbol. On the other hand, Mohammad Shariff, chairperson of Duhabi Rural Municipality, was still adamant with his decision of not taking part in the elections. “The party has strictly directed cadres not to participate in polls, so I won't be casting votes,” Shariff said. There are altogether 30,672 voters in Duhabi Rural Municipality and five parties have filed their candidacies for the elections. 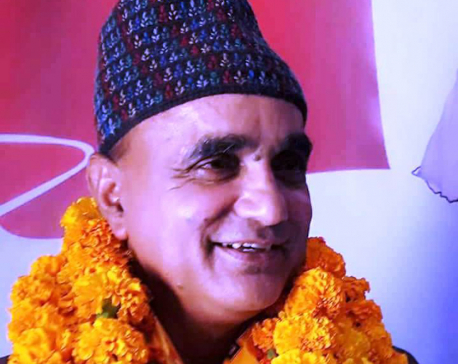 KATHMANDU, June 19: A senior leader of the agitating Rastriya Janata Party Nepal (RJPN) has joined the main opposition party, CPN-UML.